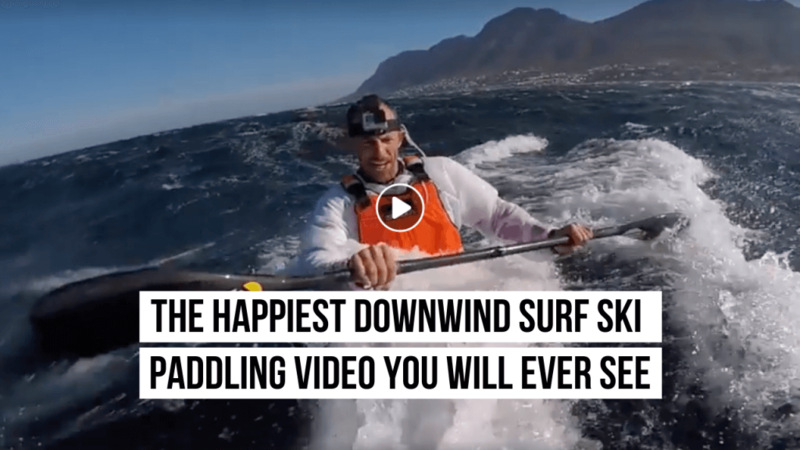 This has to be the happiest most stoked pair of downwind Surf Ski paddlers on the planet. Cape Town is world famous for it’s downwind Millers Run. Paddlers leave from the Millers Point launch area and paddle to Fish Hoek beach being pushed by a pumping South Easter and great wind swells. Now you can get a first-hand look of the energy that Dale Robinson and his friend Jeremy Valerga share on this epic downwind dash.